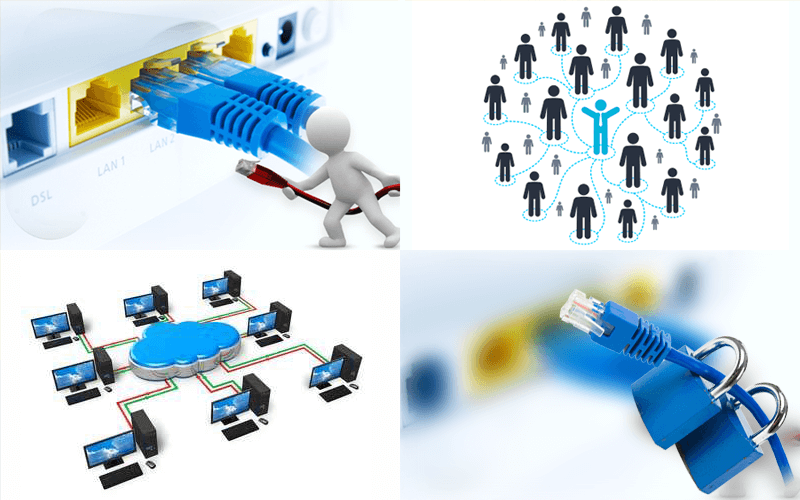 ..:: PROTOCOL | NETWORKING ::..
network, is a collection of computers and other hardware components interconnected by communication channels that allow sharing of resources and information. Where at least one process in one device is able to send/receive data to/from at least one process residing in a remote device, then the two devices are said to be in a network. Simply, more than one computer interconnected through a communication medium for information interchange is called a computer. Active networking is a communication pattern that allows packets flowing through a telecommunications network to dynamically modify the operation of the network. Downstream signals are broadcasted to all premises sharing multiple fibers. Encryption event eavesdropping. Upstream signals are combined using a Multiple access protocol, usually time diversion multiple access (TDMA). The OLTs "range" the ONUs in order to provide time slot assignments for upstream communication. A data center or computer centre (also datacenter) is a facility used to house computer systems and associated components, such as telecommunications and storage systems. It generally includes redundant or backup power supplies, redundant data communications connections, environmental controls (e.g., air conditioning, fire suppression) and security devices. Protocol will also provide you to Increase business agility, simplify operations, and protect your investment with the flexibility provided by data center. Protocol Increase efficiency with IT automation products that save time, provide clear visibility, and strengthen control over operations.